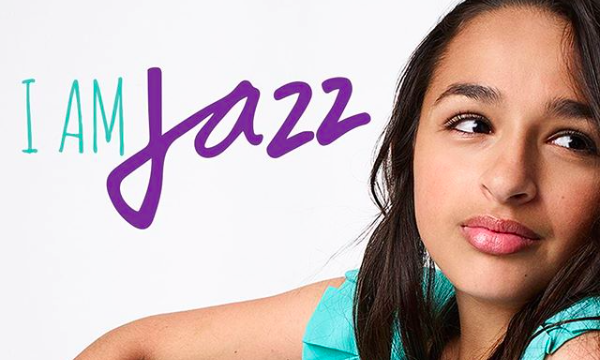 Jazz Jennings, star of TLC's I Am Jazz, perfectly shut down Derek Dillard's ignorant Twitter comment that "'transgender' is a myth." Derick is famous for being married to one of the Duggar family’s daughters and apparently he also doesn’t have a clue. Derick is married to 19 Kids and Counting star Jill Duggar and appears on the spin-off reality show Counting On...incidentally on the same network as Jazz’s show. When TLC tweeted about I Am Jazz, Derick responded: "What an oxymoron...a 'reality' show which follows a non-reality. 'Transgender' is a myth. Gender is not fluid; it's ordained by God." Jazz took the high road, firing off this classy response to his transphobic commentary: "Every day I experience cyber-bullying, but I keep sharing my story. Today was no different." TLC noted in a statement: "Derick Dillard's personal statement does not represent the views of TLC."